Every client that comes to us looking to build their timber dream home has a project that is completely unique from the client before them. Each project had different inspirations along the way that spurred the home’s particular design. For some clients, it is the draw towards a certain style that brings about the look and feel of the completed home. Here are a few looks that often influence our client’s home designs. For as long as the classic tradition of timber framing has been around, so has the timber frame barn. The quality and design of this age-old style has inspired many modern timber frame barns as well as homes. 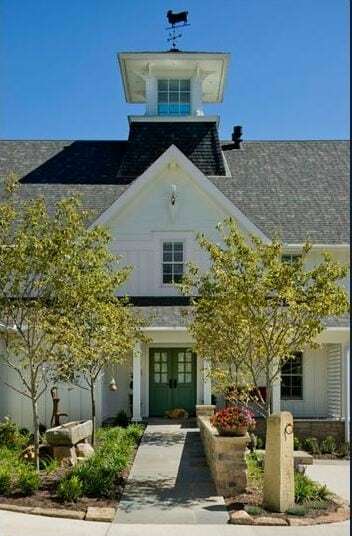 For many, their inspiration to build a barn or barn-style home is based off of the particular look and feel. The tall, open spaces with timber framing flowing throughout, iconic cupolas, airy breezeways and clerestory windows all lend to that refreshing, natural appeal. Several, past Riverbend clients have come to us, inspired by an old barn they’d seen and wanting to recreate that open, unembellished look. 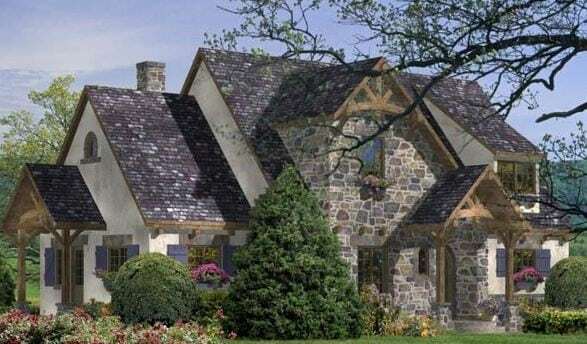 While some may be attracted to the barn-style, the distinct architectural style and use of timber in centuries-old homes built in the country sides and small villages of Europe are what many others envision when they dream of a traditional timber frame design. It is that enchanting allure of stone exteriors accented by decorative gables and steep roof pitches with hints of elegant timber connections on a rolling hillside that has inspired many of our clients to build. The natural appeal of a relaxed lifestyle on green, rolling hills is something that inspires many people to build a farm-style home built of timber. For many, it is the wide, open spaces of their location that prompts this desire, while others are drawn to common elements of country living. Visions of a wraparound porch leading to a screened-in sunroom and characteristic gables and dormers adorning a simplistically, open layout create that essence of calm, country life that is so appealing to future timber frame home owners. Whether you find your inspiration from age-old structures, authentic European looks, or a relaxed lifestyle, your Riverbend designers will work with you to emulate the styles that inspire you in a design you love.